Orthodontists draw from a diverse array of "appliances" to move teeth and align jaws. Your orthodontist will analyze your mouth and jaws, formulate a treatment plan, set goals and recommend the best way for you to achieve those goals. The recommendation will include the type of appliance needed to reach the desired result; how to care for your appliance, teeth and gums; and how often to visit your family dentist for check-ups and professional cleanings. Below are a few of the kinds of appliances commonly used. 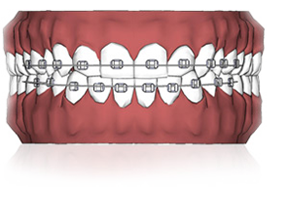 Braces generally have two components: brackets and wires. Today's brackets can be made of metal or of tooth-colored ceramic. They are usually attached to the front of your teeth, but some can be "hidden" behind your teeth. Wires, which do the work of moving your teeth, are threaded through slots in the brackets. You will see your orthodontist periodically for them to adjust your wires in order to achieve your ideal smile. Clear aligners are generally made of a clear plastic or acrylic material, and are custom-shaped to your teeth. A series of aligners is necessary to reach treatment goals. Each aligner is worn for a few weeks. They progressively move teeth toward their desired positions. Aligners must be removed to eat, and to brush and floss. Because they are removable, patients must be sure to follow their orthodontist's instructions on daily wear. Retainers preserve and stabilize your results from orthodontic treatment. They are the best way to control or limit changes in tooth position. 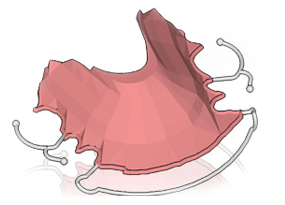 Retainers can be removable or permanent. 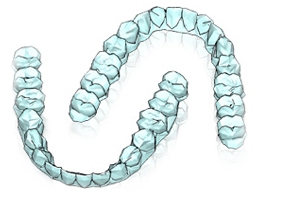 Removable ones can be traditional, with wires, or clear, similar to aligners. Permanent ones generally consist of wires bonded in behind either the bottom or top teeth. Wear your retainers as prescribed to maintain your healthy new smile. Did you know that good oral health care may have even more value than just preserving your smile? Did you know that researchers are continuing to find associations between cavities, gum disease, and heart disease? Or that there are some diseases that are associated with an increased risk of infections such as diabetes, which increases the risks of gingival and periodontal inflammation and infections? Or that loose teeth can be a warning sign for osteoporosis? And a misaligned jaw can cause chronic migraines? In recent years, a growing number of oral health professionals including orthodontists, periodontists and dentists agree there are links between the health of your mouth and the overall health of your body. Like all health science, the subject can be complex. But, in its simplest from, the message is that good oral health improves whole body health. Be sure to talk about whole body health with your orthodontist during your next visit. Helping people achieve healthy, beautiful smiles. A healthy, beautiful smile at any age. What orthodontics can do for you.